Many of us will remember Archimedes from junior high school. He's the guy who shouted "Eureka! Eureka!" 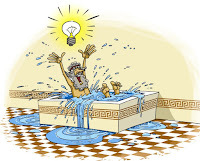 after he had stepped into a bath and noticed that the water level rose. 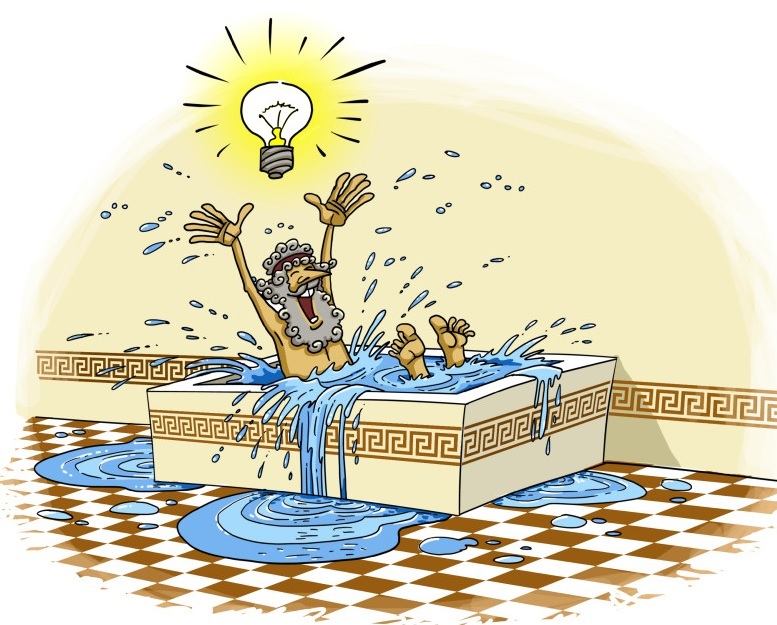 This led to his realisation that the volume of water displaced must be equal to the volume of the part of his body he had submerged. So last night i was reading Luke 6:19 NKJV "And the whole multitude sought to touch Him, for power went out from Him and healed them all." After reading I enquired, what was Jesus saying all night to the Father that Power would ooze out of Him to heal multitudes? And the gentle answer I received was "He was speaking divine mysteries and being edified all at once, and you have been baptised in the same Spirit, begin to pray"
So I prayed for a short while and went to sleep. When I was taking a bath this morning, the gentle voice spoke yet again and I had a Eureka moment. See, the power is there, He has given us power to tread on serpents and scorpions, and over all the power of the enemy Luke 10:19. The question is how much of it is evident in your life or ministry? Enough to heal multitudes? How do we even measure it? Paraphrasing Archimedes "the amount of His power displaced (goes out to heal) in your life must be equal to the volume of the part of His body he has submerged in your life. I hope you are having a Eureka moment too as you read this. Jesus is calling us to a deeper walk with Him. People should be reaching out to touch you and I for healing and deliverance from all their torment. Make a decision today to walk in the overflowing power. Allow Christ to be fully submerged in your life and you will see His power displaced and healing multitudes through you! In the presence of which enemies? The parable of the toll gate.. The charger in the sun..